Ear Plug Superstore: Who Are We? Ear Plug Superstore is operated by TM Manufacturing, Inc., a woman- and minority-owned Oklahoma corporation established in 1999. Our corporate headquarters and order fulfillment operations are located in northeastern Oklahoma, about an hour from Tulsa. Our exact address is 1709 Bell Road, Fort Gibson, OK 74434. We can be reached best by email: . Our mission at Ear Plug Superstore is to make hearing protection readily available for all -- from the industrial customer looking for bulk hearing protection, to the individual retail consumer looking for just one perfect pair of earplugs. We are not a big box store, or a giant in the industrial safety business. In fact, back in 1999, we started as a family business with a tiny office, a few boxes of earplugs, and the modest goal of making it possible for anyone, anywhere, to protect their hearing for a sensible price. The idea was to let our customers choose exactly what they wanted, in the quantity they wanted, whether it was a single pair of ear plugs or a shipping container of a million pairs. Today, our business model has not changed, though in addition to earplugs we now offer a wide variety of hearing protection and enhancement products. With fewer than a dozen employees, we stock over a thousand products, and we ship to customers worldwide. With over a decade of experience in providing hearing protection advice and solutions to customers both big and small, our flexibility as a small business allows us to respond to customer needs quickly, and on a truly personal level. Our company culture is built on a solid foundation of helping customers, even if sometimes it means referring them to another business to get the best solution for their problems. Each and every member of our team is committed to the number one goal of filling our customers' needs. Our small size allows us to ship orders fast -- and our knowledgeable customer service staff is trained and located in-house, not somewhere overseas. And unlike the industry giants, when a customer makes a special request or a great new product comes out, it doesn't require a committee meeting or a marketing analysis to make a decision: we take action, we bring you the best products available at sensible prices, and we dedicate ourselves 100% to fulfilling your needs. 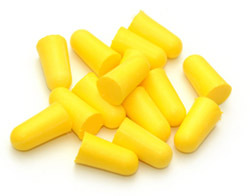 For more than ten years now, since we opened our very first box of earplugs, the very front page of our website has always said, "We put our customers first." And we really mean it. We don't just sell products that protect hearing, we also try to educate people about hearing protection, hearing loss, and the importance of hearing preservation. Though our business is always growing and changing, our dedication to solving real problems for real people will never change. We know that hearing is one of your most valuable possessions, and we're sincerely committed to helping you protect it. When new acquaintances learn that I sell earplugs online for a living, they invariably look skeptical and ask something like, "Earplugs -- really? How did you get into that business?" Growing up as country kids in Oklahoma, my brothers and sisters and I went swimming in creeks and ponds all the time, and the thought of protecting our ears from water damage never crossed our minds. Neither did the idea of protecting our hearing from dangerously loud noises when we were teenagers and twenty-somethings going to Creedence Clearwater, Kiss, and Alice Cooper concerts. 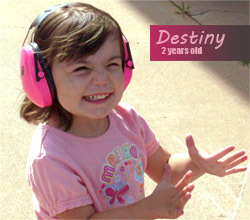 We were young, and we didn't give ear protection a second thought -- or even a first one, for that matter. Perhaps if we had, many of us now would have better hearing than we do. A quick Google search will tell you that hearing loss runs rampant in our country, especially among those of my generation, and I'm living proof that the statistics aren't just numbers -- they're real. When I lost 80% of my hearing in one ear in the early 80's, I learned the hard way to pay attention to protecting my hearing. Now, I try to use earplugs or ear muffs in every situation where water or noise could potentially cause further damage to my ears. For everything from taking a shower, to water sports on the lake, mowing the lawn, target shooting at the range, or attending a Coldplay concert with my college-aged daughter, I make sure to protect the remaining hearing I have left by choosing the right ear protection. Even so, at night, I still have to sleep with a white noise machine nearby: my tinnitus makes trying to sleep difficult without the masking noise to cover the ringing and drumming in my ears. As a parent of a child with autism, I have also become aware that many people have hearing sensitivities that make everyday life a serious challenge. My son had difficulty sitting in a busy classroom with lots of sensory input, so he regularly wore ear muffs during school hours. They were bulky and not very cool for a 10-year-old kid who was already having a hard enough time fitting in with his peers -- but the ear muffs were a solution that worked. They allowed him to tolerate not only his classroom, but also his sister's soccer games, and even our town's Fourth of July parades. Fortunately today, the range and quality of hearing protection products available has improved significantly, making it much easier to protect and defend hearing health and alleviate sensory issues. From my own hearing loss and tinnitus, to my son's struggle to handle noisy surroundings, I know first-hand just how crucial it is to protect your ears and your hearing. So that's why I am in this business. 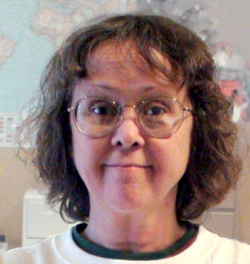 Kathy Trotter Bergman, President, earned her B.S. and MBA from Northeastern State University. She personally suffers from hearing loss and tinnitus, and her dedication to hearing protection and conservation has been a driving force behind Ear Plug Superstore since its inception as an online business. She has led the business to achieve continual growth for almost two decades. Under her leadership, the company is a minority owned business and is registered with the Oklahoma Department of Commerce as a certified woman-owned business. Kathy previously held positions in healthcare, education, public accounting, communications and training. She is also the proud mom of two adult children, including a son with autism. Thomas P. Bergman, Vice President, is a CPA and Professor Emeritus of Small Business Management and Entrepreneurship (2003 University of Central Oklahoma). 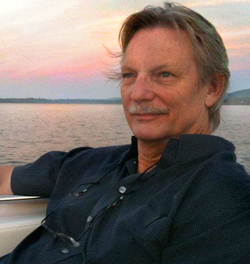 He holds a Ph.D. in Educational Technology from the University of Oklahoma; an MBA in Finance and a B.S. in Engineering Physics from Northeastern State University. He is co-author of The Business Student Writer's Manual and Guide to the Internet (1998 Prentice Hall) and of The Essential Guide to Web Strategy for Entrepreneurs (2002 Prentice Hall). Both publications were used as textbooks and business guides during the early days of the internet and ecommerce. See our Customer Service Information page for answers to questions about shipping, returns, and other similar issues. And as always, feel free to contact us at we are here to help!